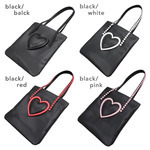 From the TOKYO BOPPER, the leather bag series which is using a genuine leather has started ! TOKYO BOPPER’s original bags which is popular with design that you have never seen and user-friendly features! A genuine leather series of a unique bag with fine quality luxury. Please enjoy the original design from Harajuku and high-quality. The second series is a circle bag! Circle shoulder bag with both cuteness and mode feeling. Galaxy design is also joined the ranks of Circle bag series ! A slightly wider gusset has large storage capacity than it looks. 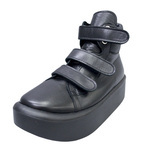 The strap is a glossy original buckle and adjustable length. It does not chose any season and any styles. Inner pocket is easy to take out a mobile etc.